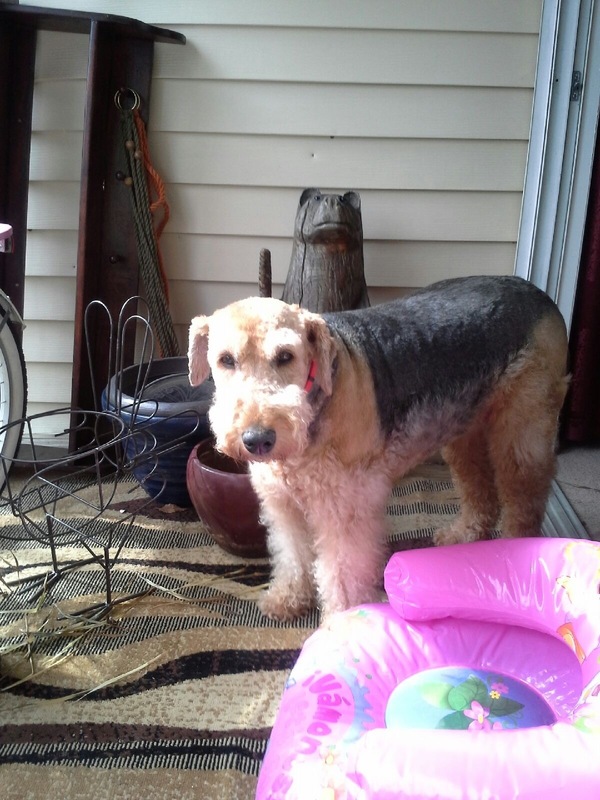 Gabby is a 9 year old Airedale whose family was so very sad to have to surrender her to ARG but they knew it was the right decision for the family. Gabby has lived with her owner since she was 6 weeks old. 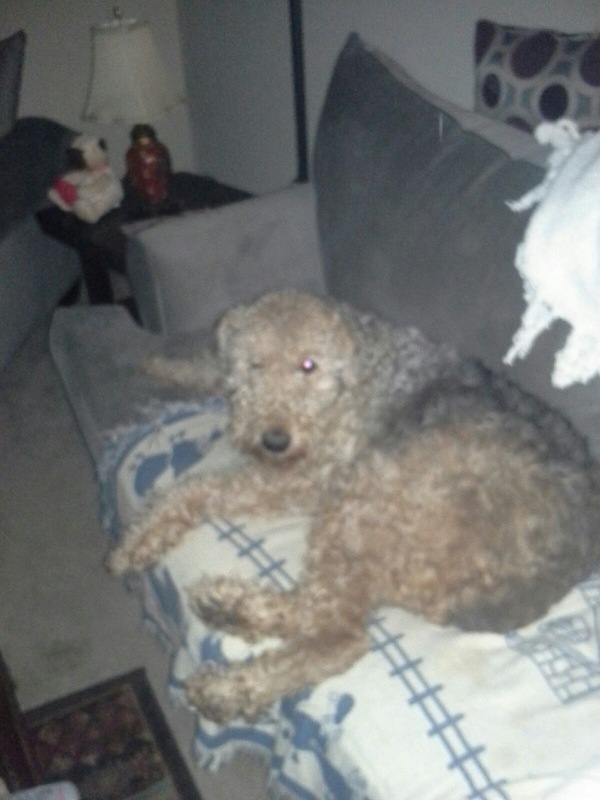 It’s an adjustment to change owners but Gabby is such a people oriented girl, she will adjust easily to a new family. Gabby has always been an inside dog, using a fenced yard to go outside – even uses a doggie door. She enjoys a leash walk too. She is so very sweet and friendly to everyone she comes in contact with, even children. She has been around children in her later years of life. She gets in the car and is a good car rider too. Gabby has skin allergies and she should be fed a quality dog food such as one with no grains, soy. These types of dog food are easy to find at local pet stores. Gabby is 85 lb and could use some exercise. She would like to lose a few pounds! 11/10 WE were informed that her loving owner is going to be changing living situations where she will be able to keep her after all.Happy ending for all.